He was born in London on 16th May 1823 and died at Maxwelton, Dumfriesshire, on 3rd December 1917, aged 94. The 3rd Baronet, he inherited the title in 1871 on the death of his father, Sir John Bayley (who had been President of the Marylebone Cricket Club in 1844). He assumed the name Laurie on succeeding to Maxwelton, in 1886 under the will of his great-uncle, Sir Robert Laurie. Emilius Bayley was a noted cricketer and was described by Arthur Haygarth, the compiler of Scores and Biographies, as 'a fine free hitter'. He was in the Eton XI for four years from 1838 and captain in his last two, leading his side to victory over Harrow both years. In 1841 he scored 152 not out against Harrow, a record in these contests that remained unbeaten until 1904. He also made 57 against MCC in 1840. Going up to Trinity College, Cambridge, he never played for the University, but scored 50 for MCC against the University in 1842. He also appeared in nine games for Kent, his best innings being 33 against England and 23 against Sussex, both in 1842. After entering the Church, his appearances in important matches declined. 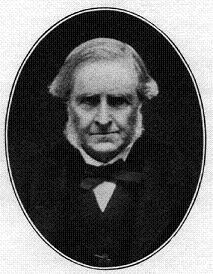 In 1846 Bayley was ordained and following a perpetual curacy at Woburn, was appointed Rector of St George's, Bloomsbury, in 1856. Eleven years later he became Vicar of St. John's, Paddington, where he remained until 1888. It is said he was given the name Emilius after one of his father's horses won the Derby in the year he was born. His father entered two horses and said, should either of them win, he would name his child, if it were a boy, after it. The other horse was called Lollipop. An interesting connection with the Laurie family relates to Anna Laurie, the daughter of the first Baronet. She was the subject of a celebrated love-poem, Annie Laurie, by William Douglas, who lived at nearby Morton Castle. The information above was kindly made available by Christopher J. Gray and is taken from his book, The Willow and the Cloth — a compendium of Cricketing Clergy from the 18th Century, published by him (under Winsor Edititons) in 1999.